Some nights when we sleep, we find ourselves drifting off into that mysterious place known as la-la-land, but we might ask the question, where is it that we really travel to? Dreaming is the communication between our conscious mind and our unconscious mind. Dreams let us play out painful, puzzling emotions or experiences safely. Dreams also allow us to process information or events that may have been upsetting, devastating or confusing in a way that is emotionally but not physically real. What we dream comes from our Soul, a way to help us heal where we need to be healed. Messages from our Spirit to help us along our way, beautiful whispers to aide us in letting go of what we are holding onto that is hurting us deep inside. Dreaming can be the way to deep inner healing, if we know how to interpret what the dream is telling us. C.G Jung referred to dreams as ‘feeling-toned complex of ideas’. It is like we are being called by our unconscious self to feel into our thoughts and memories so as to gain a deeper sense of who we are and where we are going in our life. The expert in bringing the true meaning of your dream to light is ‘you’. When it comes to your own psyche don’t stop trusting you own inner guide to your unconscious. What is your Soul trying to bring to your attention about your internal repressed feelings towards a situation in your life? Whether your dreams are fantasy, desire or a terrible nightmare do not interpret them as predictions or premonitions, but simply as guidance to help you cleanse the deep internal being that resides within you. A way of predicting what it is you are going to solve soon in terms of your healing problems. Understanding our dreams guides us in a way that helps us to become more conscious. Which in turn brings a higher level of understanding the true essence of ourself, the authenticity of who we are. What you visit in your dreams is exactly what you need to work through in your unconscious self, outdated deep emotional wounds that still need some attention in order to heal. Although healing may not always be the message in the dream, there are hundreds of ways that our Soul will speak to us in our dream state. Often the answer to our most troubling question might appear as a dream. 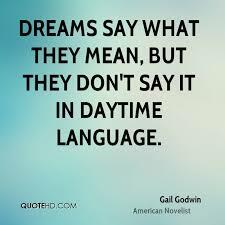 Interpreting your dreams doesn’t have to be hard. Listen to what your intuitive is telling you when you recall the dream when you wake up. Keep a ‘dream diary’ beside your bed, it is a great tool to use to help you ‘remember’ before you start your busy day. A lot of times our dreams don’t make sense to us right away, it is a benefit to have some time to contemplate. Sleep tight and when you dream, wake up and feel alive.